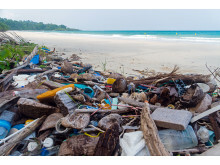 With the world celebrating Earth Hour on Saturday, Swedish impact-focused investment company Blue today applauded the decision this week by European lawmakers to ban single use plastic products. 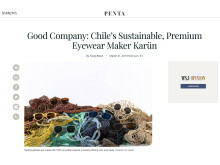 Blue investment Karün, the Chilean eyewear maker, is capturing the attention of the world's top media, including Barron's, the leading weekly finance magazine. Nordea, Nordeuropas största finansbolag, lanserar idag en unik Bluewater vattenstation på huvudkontoret som ett steg i kampen mot användandet av plastflaskor. Detta görs genom att servera gratis vatten till alla som inte använder plastflaskor för engångsbruk. 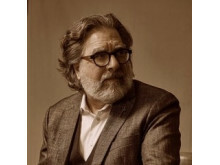 Blue, a Stockholm-based investment company that serves as a catalyst for sustainability-driven innovation, today announced a strategic partnership with the internationally-recognized water strategy and innovation thought-leader Will Sarni and his Water Foundry organization. 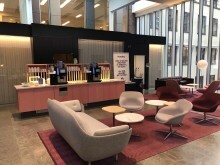 Investmentföretaget ​Blue i Stockholm, som fungerar som katalysator för hållbarhetsdriven innovation, offentliggjorde idag ett strategiskt partnerskap med den internationellt erkände auktoriteten inom strategi och innovation i vattensektorn, Will Sarni, och hans organisation Water Foundry. 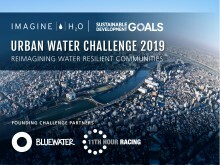 Blue’s mission is to find, engage with, invest in and support entrepreneurs, innovators and businesses driven by the desire to deliver tangible, sustainable solutions that can benefit human wellbeing and planetary health. With its headquarters in Stockholm, the Swedish capital, Blue is an investment company that serves as a catalyst for innovations that can solve some of the major challenges facing our planet and all living on it.